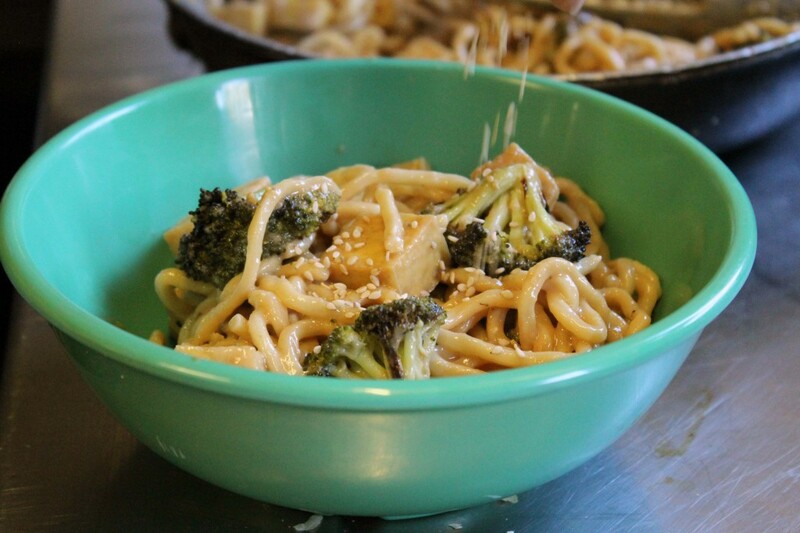 This dish is super easy and packed with vitamin C, fiber and protein. 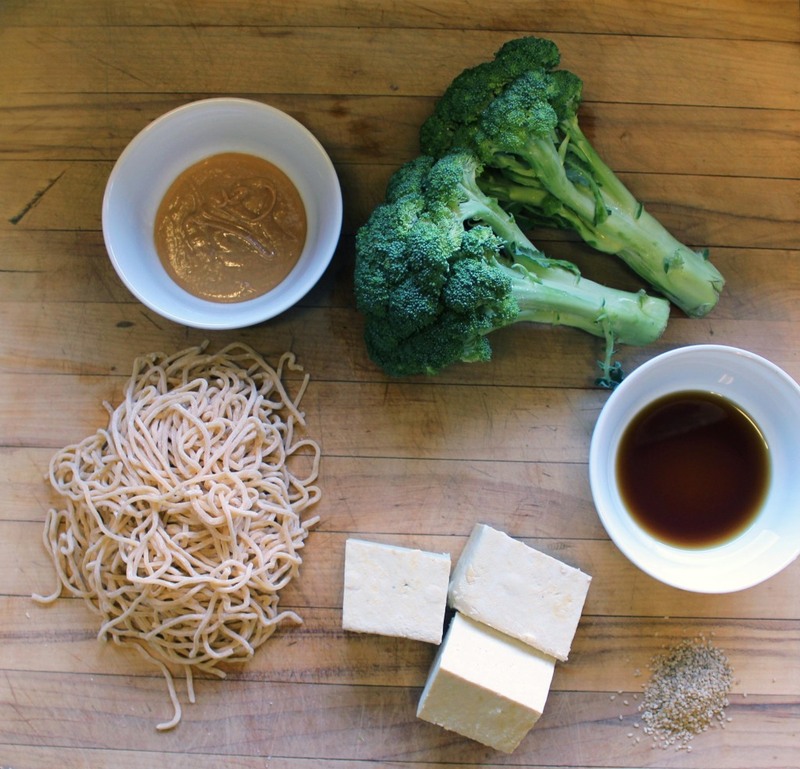 I got the idea by combining four foods that I really love—roasted broccoli, baked tofu, fresh noodles and a spin-off of my mom’s peanut sauce. And even better, this dish is versatile and can be adapted each time you make it. 2. 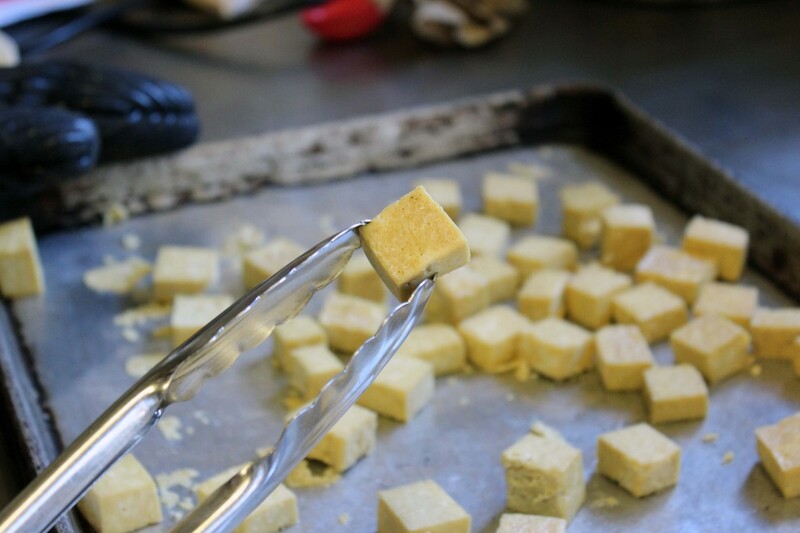 Dice tofu and spread onto oiled baking sheet. Season with salt and pepper. 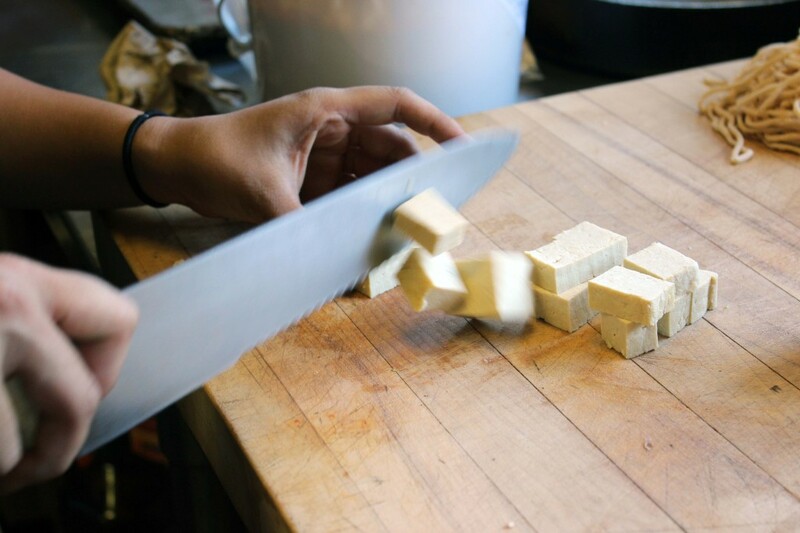 Bake for 15 minutes, flip tofu pieces over, then bake for another 15 minutes or until crispy. 3. 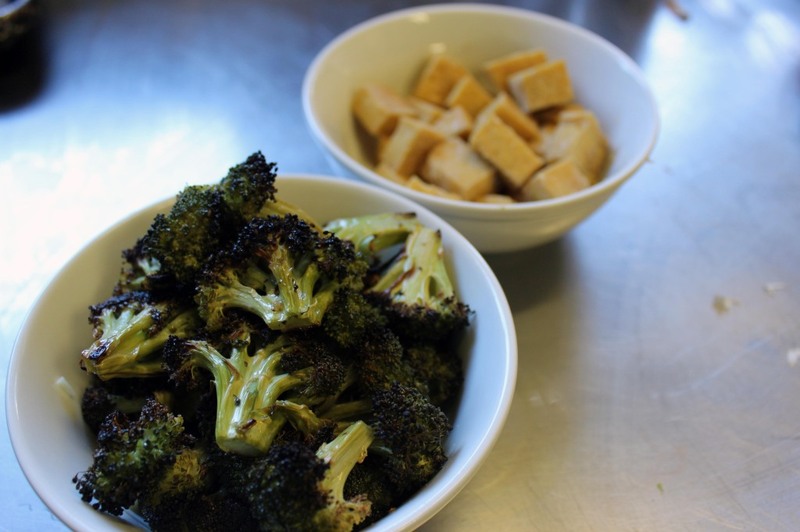 Cut broccoli florets into bite size pieces. Toss in olive oil and season with salt and pepper. Set aside. 4. 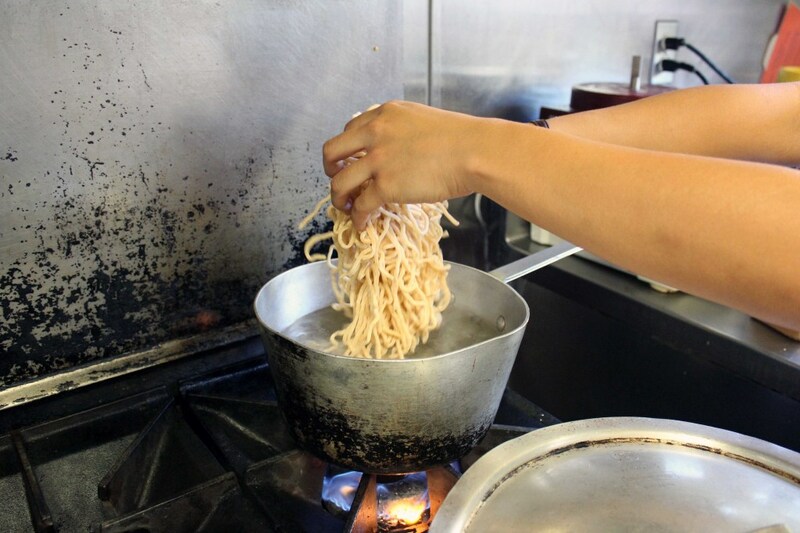 Boil water for pasta. 5. 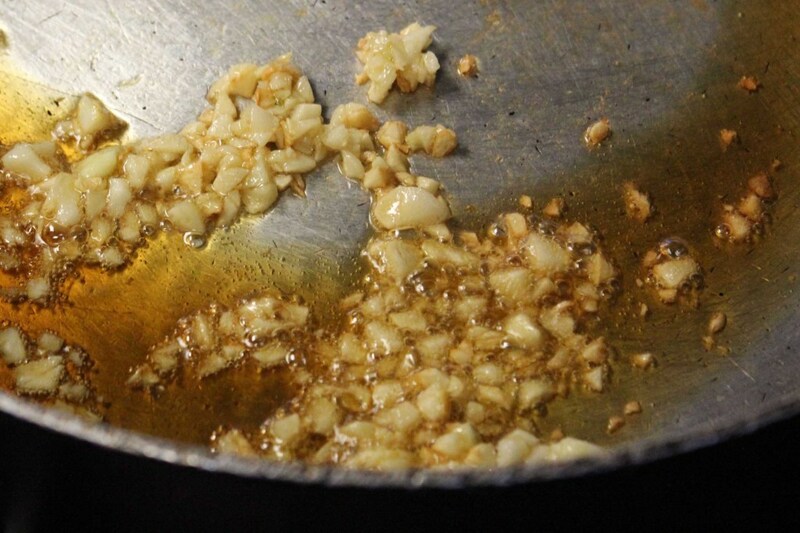 Chop garlic and sauté in pan with olive oil. 6. 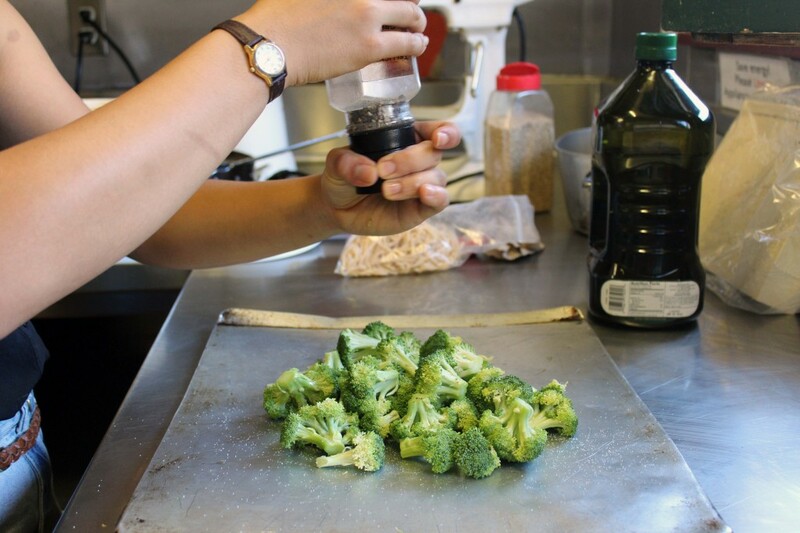 Add sesame oil, soy sauce, balsamic vinegar, sugar, cumin, cayenne pepper and peanut butter. Stir mixture together over low heat for about 2 minutes. 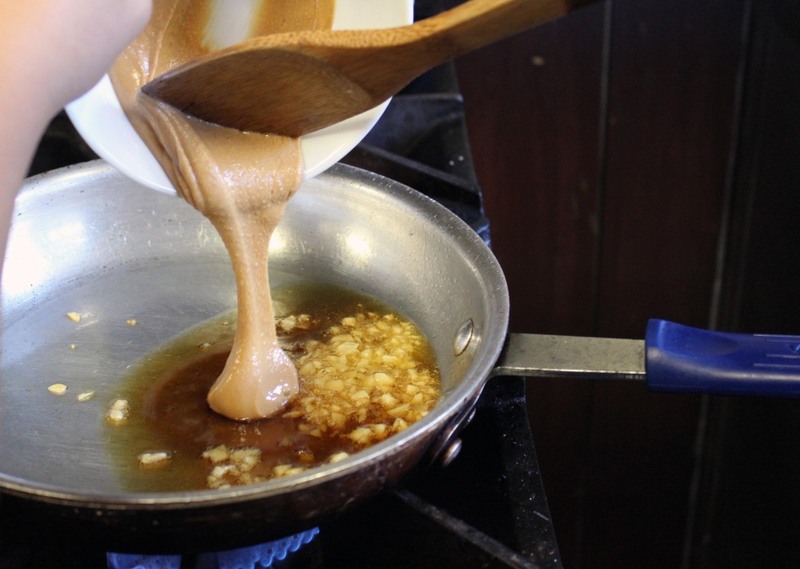 Add water to reach the desired consistency for your final sauce. Remove from heat. 7. 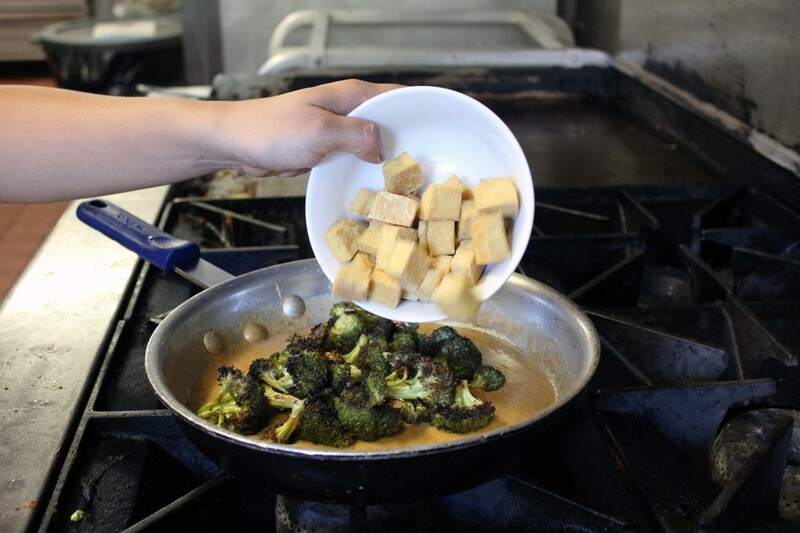 Once tofu is done baking, bump oven’s temperature up to 450°F and roast broccoli for about 15 minutes or until tops are golden brown. 9. 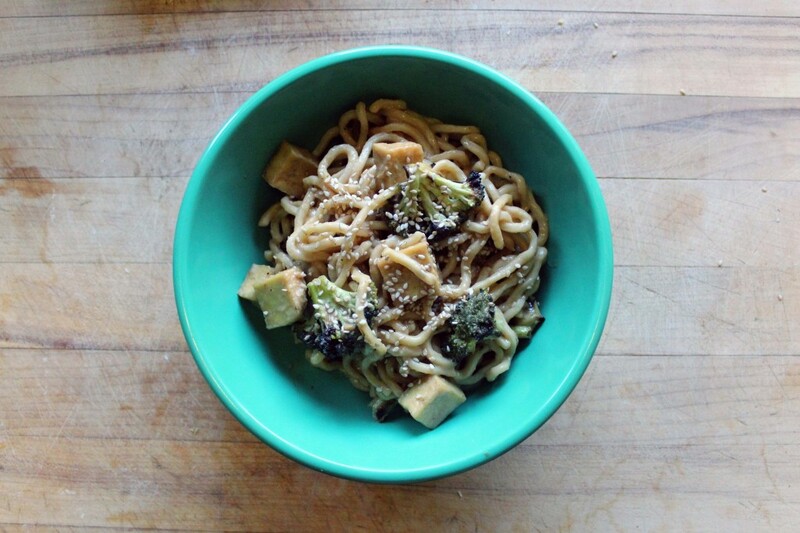 Add broccoli, tofu and pasta to sauce and toss everything together over low heat for 1 minute. 10. Top with sesame seeds, shredded carrot or chopped green onion for garnish. Enjoy! 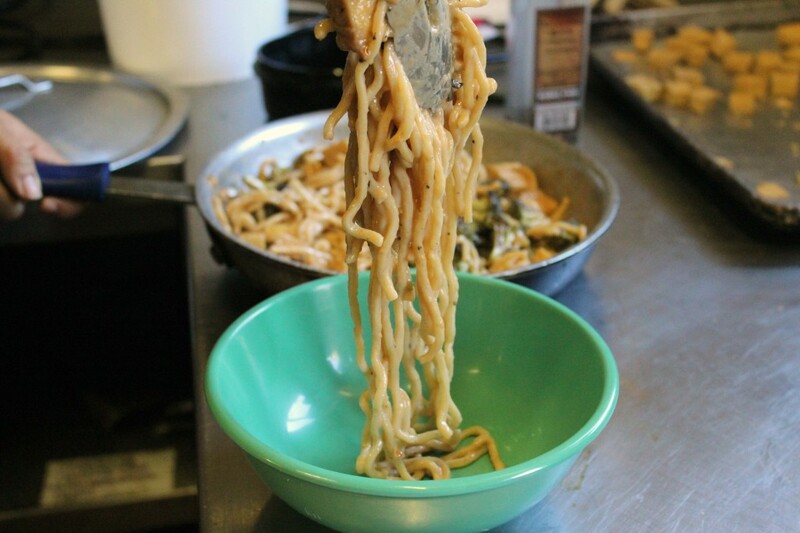 TIP: For those of you at Cal, Berkeley Bowl has a great selection of fresh pastas including wheat, egg, rice, spinach and beet noodles. Yum.